As a game of pure luck, many people are under the impression that there is absolutely no strategy involved in playing Keno. Yet, our experts beg to differ. As a matter of fact, there are a few things you can do to better your game. Below we discuss the best Keno strategy to use at online casinos. 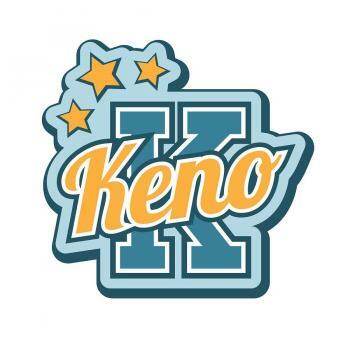 Go ahead and read through our Keno strategy guide, then pick a casino to play at. Keno is a game of pure chance and there is little strategy that can be employed to help increase your chances of winning. Why? Well, numbers are chosen completely at random. So no numbers that are drawn have any relation to those drawn previously. And although it might sound a bit odd, if you choose five numbers on a ticket, there is no greater chance of seeing 9, 21, 35, 38, and 57 come up, than seeing 1, 2, 3, 4, and 5. In fact, every number has the same chance of being drawn as the next. 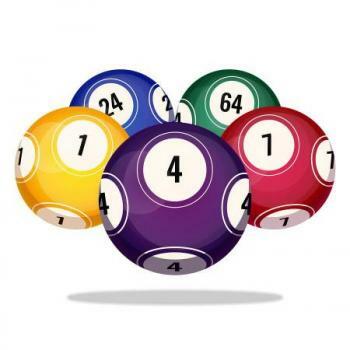 Below we outline a few key tips you can use when playing online Keno. Although Keno differs from games like online Blackjack and Poker in that the participant's actions have very little bearing on the outcome of the game, there are, nonetheless, a few techniques that some gamblers "believe" will help. They cannot be correctly labeled "strategic decisions", necessarily, but the following tips and techniques are widely used and can make the game more interesting. Among all the different games you can play with an online casino bonus, Keno is one of them. There are tons of casinos out there which will double or even triple your deposit once you’ve signed up and paid for your casino credits via one of the online casino payment options available. Our advice is to look out for an internet casino which offer bonus money that can be used on Keno. Play the numbers that you haven't seen come up in recent games. The theory is that they will start coming up in order to make the long-term results for each number even out. Once again, however, the "random" nature of the game prevents this from being a certainty. Instead of betting on the numbers that haven't come up most often, a lot of keno players will bet on the numbers, which have come up. As much as it goes against the laws or chance and probability, there are always interesting trends and patterns when dealing with randomly drawn numbers, and these streaks can be very profitable when capitalized upon. Pick successive numbers. Selecting pairs such as 12 and 13 or perhaps 43 and 44 would qualify as successive numbers. Although there is no proof this actually works over the long run, it does seem like many of the numbers that come out are in consecutive pairs. These are very popular beliefs among Keno players. You can also use the same set of numbers consecutively. This strategy is very simple and the most common: simply play the same selection of numbers for a few rounds. Remember that there is nothing 'strategic' about these systems, but they definitely are a bit of fun and they certainly will not harm your chances of winning. Many online casinos host games with multi-race cards in which players have the facility to pick out numbers just once. This will enable you to place your bets on the same numbers simply by just clicking on the button a single time. Of course, should you choose to do so, you’ll bet on the same numbers over and over again. Before you start playing your online Keno game, prepare yourself and evaluate how much you’re prepared to lose. For example, if you’re thinking of betting $10 per game, calculate whether it’s worth the risk. The trick to lasting a long time during the game is managing your bankroll wisely. So try to determine how much you can spend per game by evaluating the amount you’re willing to risk for the great rewards which are possibly to come. Due to the staggering amount of possible number combinations in Keno, the odds and probabilities are tricky to calculate and, sometimes, a bit confusing. When picking twenty numbers at random from eighty, there are 3,535,316,142,212,174,320 different combinations! Of course, it is important to consider that the order of numbers is not important. You simply want as many of your chosen numbers to appear as possible. Below you will find the probabilities for Keno number matches. Keep these numbers in mind when making your bets. Suppose you pick 5 numbers. You have a 22.7% chance that none of your numbers will come up, a 27.0% chance that three will come up, and a 0.1% chance that all five will appear. If you add up the totals from one row, it will equal 100%, i.e., 2 numbers picked; 56% chance of no numbers, 38% chance of 1 number, and a 6% chance of both (56 + 38 + 6 = 100). There’s no better feeling in this world than getting a BIG money win in a game of chance like online Keno. Yet, if you’re playing Keno games online, the probability of wining large amounts of money by hitting numerous spots decreases and decreases according to how many numbers you pick. If you pick 14 numbers, you can see from the table that you have a 2.0% chance of getting 7 of these numbers. However, your chances of hitting all 14 numbers are very small, almost infinitesimal! (we didn't include all of the numbers for this reason, instead, using the symbol * (*0.1) to denote very low odds). Provided that you’d like to know what we mean by very small, the probability of hitting all 14 numbers is 0.00000000257, or 1 in 389 million! Can you win at Keno? Just like online Slots, Keno is also a game of pure chance. And although you won’t win all the time, you’ll be able to win sometimes provided that Lady Luck has decided to place her hand on your shoulder. How many numbers do you pick in Keno? In online Keno, you’ll usually be able to pick 1 to 15 numbers. Yet, this sometimes varies according to the variant you’re playing. So in some cases you’ll be able to pick even 20 numbers. How many numbers should you pick in Keno? Although you’re free to choose as many numbers as the rules of the game allows, you should always be well aware of your odds. Are there any Keno winning patterns? Despite the common belief that there are winning patterns in Keno, it’s sadly not always the case. So if you come across an article stating that there are ‘winning patterns’ just ignore it. What are hot numbers in Keno? Hot numbers in Keno are ones which are hit quite often. These are based on numbers which are drawn in 5 consecutive rounds. According to various sources, the hottest numbers in Keno are 78, 74, 67, 66,61, 58, 44, 16 and 3. What are cold numbers in Keno? Cold numbers are ones that haven’t come up in a while. Generally speaking, a number that is referred to as cold is based on what gets hit over 15 consecutive rounds. What are the odds in Keno? Your odds in keno vary according to how many spots you manage to hit. Provided that you’d like to evaluate the odds properly, we recommend having a look at the keno odds table above where you’ll be able to find all the probability information you need. Online Keno is a wonderful game of chance to play at online gambling sites. And whilst you might think that the lottery-based game isn't worth your while. you are most definitely wrong. Playing Keno can result in superb wins that can be life changing. If you’d like to play the lottery-based game, we suggest heading to our full online Keno guide where you’ll find a list of the best online Keno casinos to play at. Check out our full casino games guides to find out all about their rules and strategy. Then start playing at an online casino!